We’re home from our quick weekend escape and work trip in Honolulu and back getting on track here at home again. I’ve been wanting to do this post for a while and today seems like the perfect day to do it while I get all our Hawaii photos gathered for posts to come soon. Hotels are a big part of traveling and I spend a lot of time researching where to stay before we head out on a trip. Between location, aesthetics and price, hotels can be really hard to pick and when there are lots of options, it’s even harder. I love the process of picking hotels and we’ve stayed at some great ones over the years. It’s important to me for the hotel we stay at to be designed well and to have unique features, which is why we primarily stay at boutique hotels or chains that go more the boutique-design route. 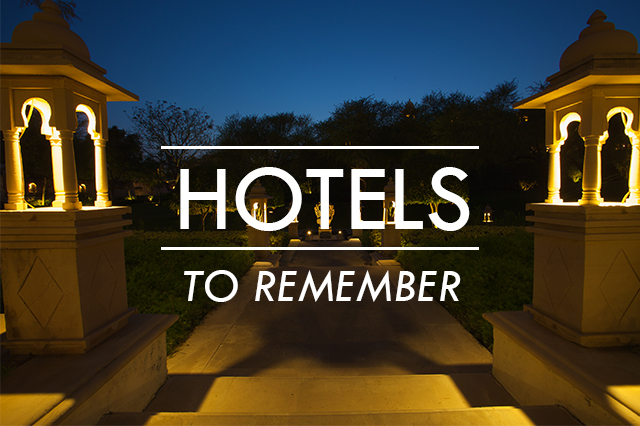 Looking back over our travels, there are some hotels that just stand out among the rest. They are the places that we’ve had incredible experiences, the best views and left saying we can’t wait to go back. This might become a reoccurring post down the road or as we find more hotels we love, but for now, here’s some of my favorite hotels we’ve stayed in thus far and the reasons why they blew all the other hotels we stay at out of the water. 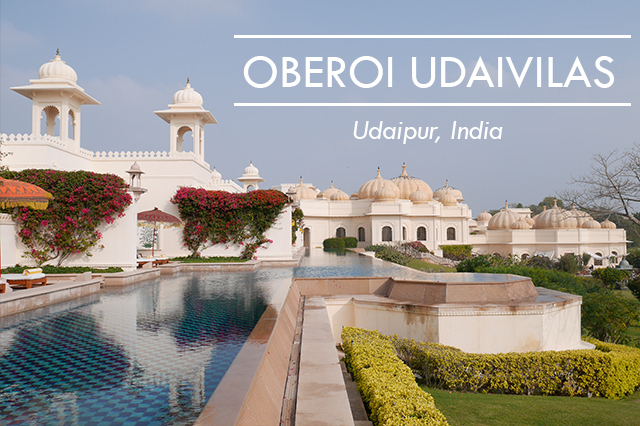 Perhaps the most amazing hotel we’ve ever stayed in, the Oberoi Udaivilas in Udaipur, India are beyond luxurious. The hotel is incredible in itself, but the grounds are seriously breathtaking. Situated right on Lake Pichola with many rooms featuring private infinity pools, this hotel will change what you think a hotel should be. The service is beyond extraordinary and you will feel peace here like you’ve never felt before. 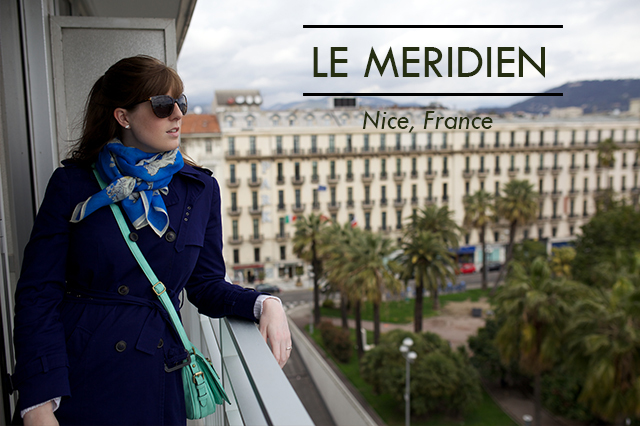 Our trip to Nice was our first to the French Riviera and we couldn’t have picked a better hotel to experience it. While I usually shy away from large brands, Le Meridien is an exception. Their Nice location is beautiful with modern design, but make sure to book a room with a balcony. We took in the gorgeous scenery from ours of the Mediterranean and the views of Old Town Nice. This hotel is conveniently located too and with large rooms (by European standards) and is a great base for the South of France. Our trip to Marrakech was made truthfully because of our Riad. Riads in Morocco are like guest houses turned to small hotels and Riad 72 is a gem in the middle of bustling Marrakech. From hand carved wooden doors to suites tiled in local colorful tile to marble bathtubs and privately cooked meals, this place is incredible. We spent lots of time on the rooftop (with views of all of Marrakech) and enjoyed the incredible food cooked everyday by the chef. 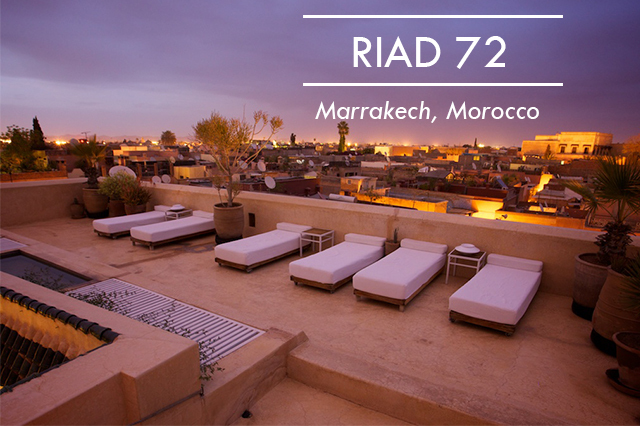 Riad 72 is a palace in and of itself and so calming after the busy streets of the city. 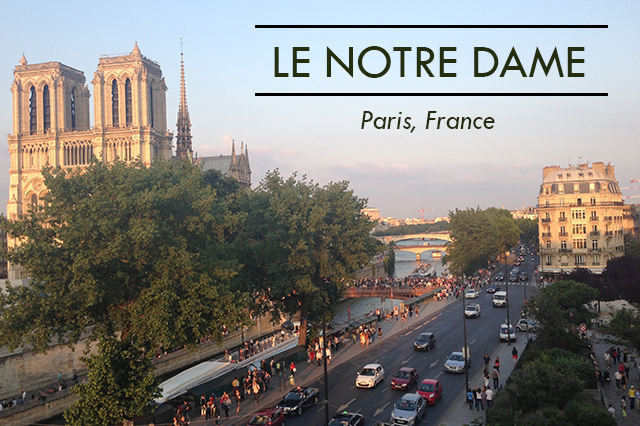 Designed by Christian LaCroix when it was remodeled several years ago, Le Notre Dame Hotel is a gem in Paris and has quickly become our “go-to” hotel in the French capitol. The view (as above) from the rooms speaks for itself and to wake up and go to sleep just a stones throw from the famous cathedral is a pretty incredible feeling. The rooms are tiny but brimming with character and having this view during your time in Paris really can’t be beat. It’s also in a super convenient spot in Paris, within walking distance from most major tourist spots as well as right across the street from the St. Michel metro stop which can get you anywhere you need to go. We only stayed one night at the Trident Gurgaon when we made our way through India, but this gem of a hotel is one that we remarked several times we wished we had more time at. 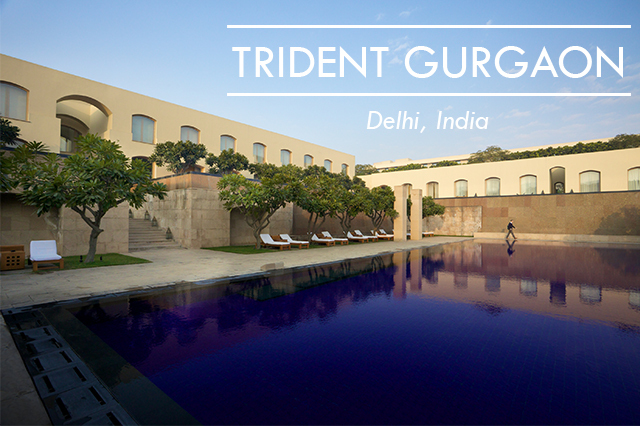 Though outside of Delhi by about 20 minutes, the hotel is an oasis of calm in bustling India. We awoke from our suite after a long journey to India to sunrise glistening off of the infinity pools that run throughout the property and birds perched throughout the green trees. We wandered the grounds and were in awe that were in the middle of a busy city! It’s a lovely escape from the smoggy settings in Delhi proper.